19thc Treen Matchbox Holder . English. C1860-80. 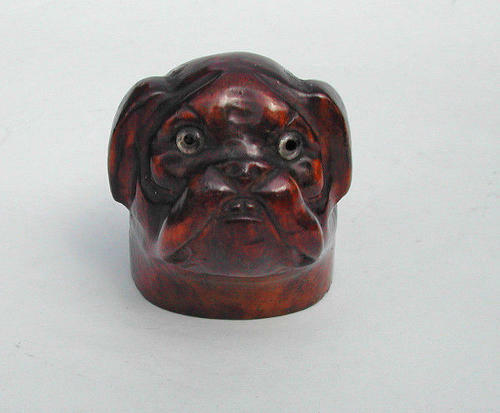 A Matchbox Holder in the form of a "Boxer" Dogs Head, nicely carved and inset with glass eyes....it has gained a good colour with a warm patina.